This 13-year-old C. japonica chance seedling first bloomed in 2004. It was originated, registered and propagated by Lyman F. Holland Jr. of Mobile, Alabama. 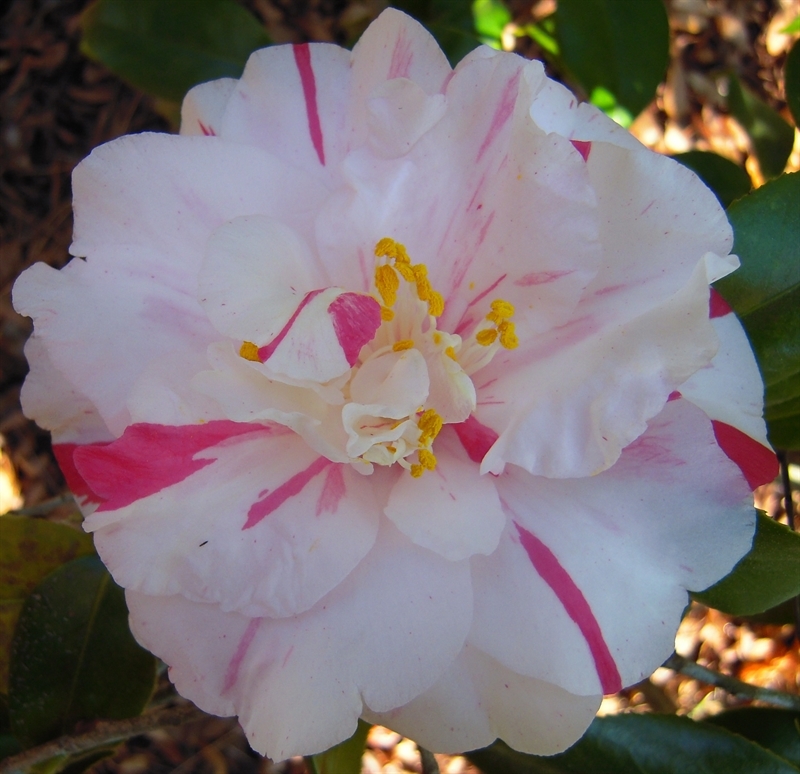 Bloom: The medium sized 4” x 2” single to semidouble form flower is white with random pink stripes. It has yellow anthers and white filaments. The bloom consists of 21 petals. The flowers fall in one piece with consistent form. Plant: The plant habit is open. The growth rate is slow. The plant is suitable for landscaping use. Leaf: The dark green leaves average 3.5” x 1.25” with medium serration.